Numptia—a surprise new 70-meter from Rossinavi shipyard—reveals herself to be fresh and original, truly one of a kind. Read in our digital edition. 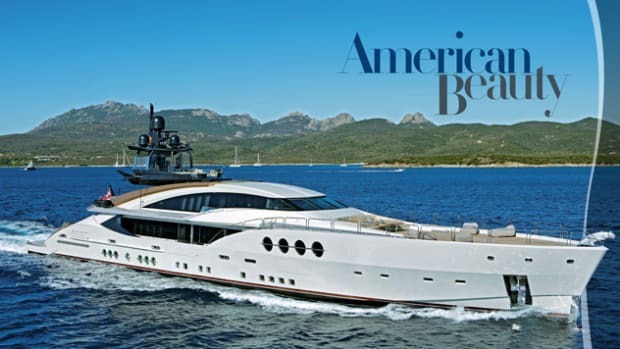 Many builders lay claim to “custom-building” a yacht, but the term is often a misnomer. 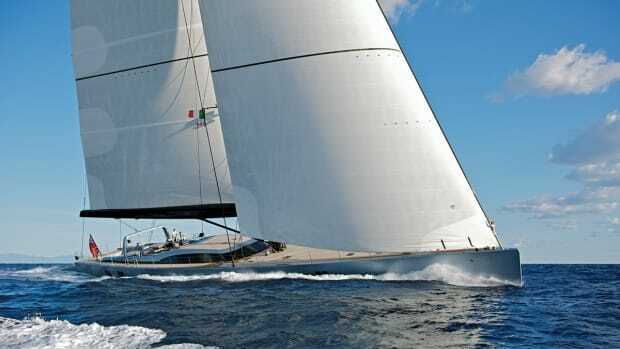 The striking 229-foot, 7-inch (70-meter) Numptia, built at Rossinavi Shipyard in Viareggio, is one of few yachts that can claim to be completely custom-built. 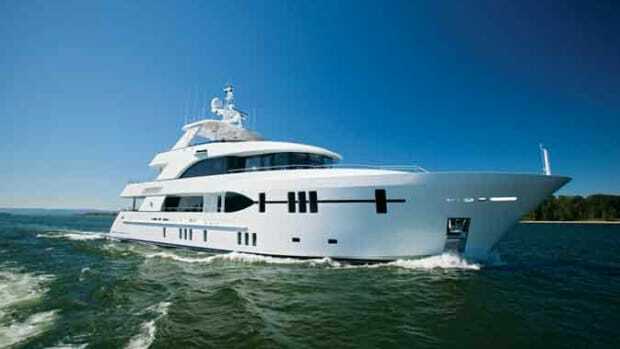 She is not part of any series, nor does she replicate any earlier-generation yacht built at that shipyard. 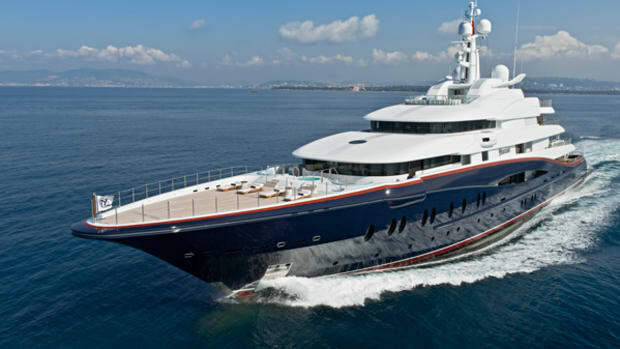 Moreover, Numptia is the largest private yacht ever built at Rossinavi—by far. 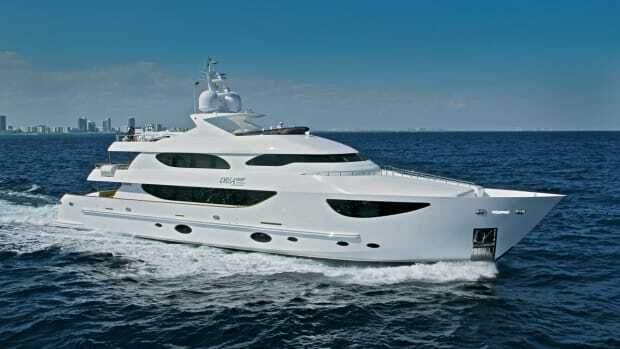 In 2008, the yard became recognized in the yacht world with the 175-foot (53.2-meter) South, the first significant build under its own brand. 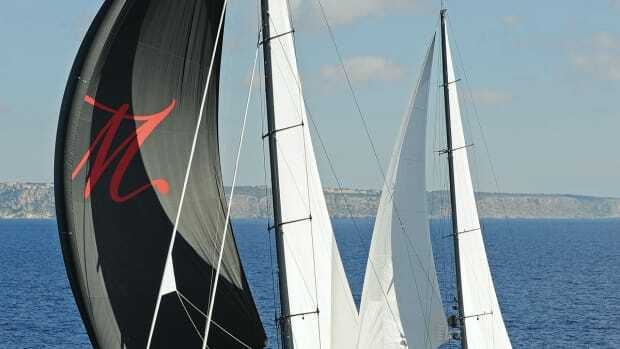 Yet, Rossinavi (Cantiere Navale Fratelli Rossi) is no novice to metalwork and engineering. Established in the 1970s, the company is very much a family affair, run by three brothers and their offspring. Historically, the company built coastal and inland commercial passenger vessels and also supplied a dozen or more hulls, superstructures and engineering subcontracting to other well-known builders based in Viareggio. 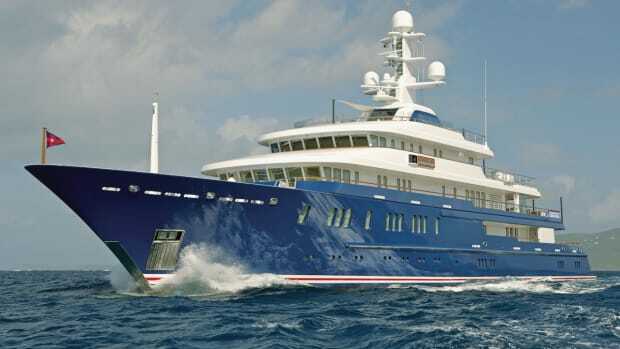 One might wonder why an experienced yacht owner whose previous yacht was a 197-foot (60-meter) CRN, would seek out a relatively unknown yard for his new yacht. When we asked the owner this question, he said it was largely due to the chemistry between Claudio Rossi and himself. It was the owner’s long-time friend and project manager, Marco Martinelli, who introduced him to Fratelli Rossi. Now, four years later, with Numptia a big hit at the Burgess display at the Monaco Yacht Show and with a season of successful cruising and several charter bookings all lined up, it is fair to say the trust and experimentation has paid off. Numptia’s owner says Rossi is a man of integrity who always did what he said he would do. Rossi for his part appreciated interacting with an owner who was so enthusiastic and involved with the build process. 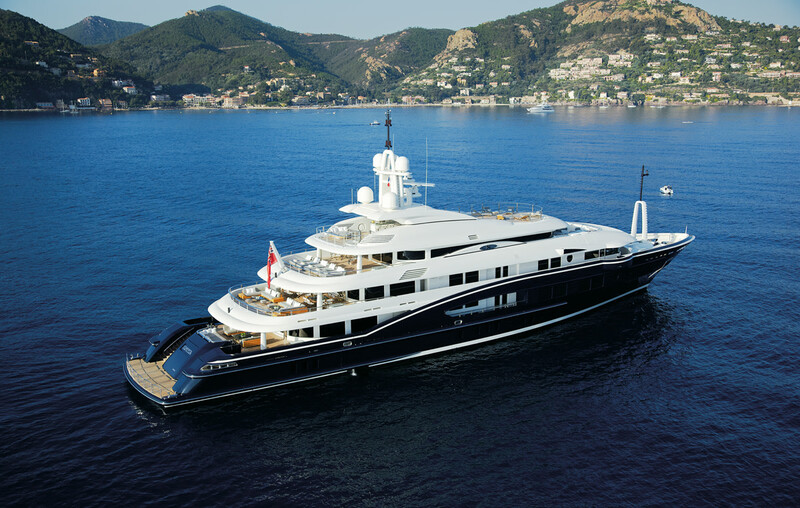 Martinelli, who had worked with the owner on his CRN (also named Numptia) built in 2000, pulled the team together for the owner. He recommended Tommaso Spadolini of Studio Spadolini, based in Florence, as exterior designer, and Horacio Bozzo of Viareggio-based Axis Group for naval architecture. Young interior designer Achille Salvagni, from Rome, completed the Italian team. The players worked well together. The owner, who maintained a keen interest throughout the development and the build, had monthly meetings with his team and helped cement the efforts. Salvagni used many natural elements and was keen on varietal textures such as leather, goatskin, sea-ray skin, silk or cashmere. The hand-woven silk carpet, made in Tibet, contains more knots per square foot than the human eye can discern. All the freestanding pieces—every table, lamp, door handle, bed or dresser—were designed for the yacht. Salvagni’s studio created more than 10,000 3-D renderings. As soon as you enter the circular main salon, you know you are not just entering “another” megayacht. There is a palpable wow moment while you take in the full effect. You can’t quite put your finger on a style, which is the way the owner and Salvagni intended it to be. You have to walk around slowly and appreciate the details. Impressive are the “German silver” wrought sliding doors between the main salon and dining area. “What do they remind you of?” Salvagni asks. Thankfully, he immediately identifies the shapes: They fit together like the links in a watch’s metal wristband—only giant size. The next challenge is to figure out the inspiration behind the dining room’s overhead. After a pause, he reveals it to be the back of a violin. Art and artistry abound. The dining room’s limestone bulkhead is decorated with a bas-relief of an ibis, referring to ancient Egypt. Moving forward on the main deck are the formal lobby and glass elevator that services four decks and, far forward, the exquisite owner’s suite with its study and a bedroom with lounge chairs for reading. The pièce de résistance is a bathtub made out of one solid piece of white marble. In fact, there are 40 tons of marble in the boat. The five additional guest staterooms (four doubles and a twin) are perfectly suited for the owner’s large family, including grandchildren, or for accommodating a charter party of 12. No charter guest could complain of unequal accommodations. However, why hang out in your bedroom when there are so many places to enjoy with others? The skylounge features a 105-inch-screen TV, and side-by-side day beds just beg to be jumped on and snuggled into. An interesting macassar-ebony coffee table in the shape of a crocodile is just one of the many custom designs. Certainly, guests will enjoy spending time on the spa deck or, as Salvagni calls it, “the amusement deck” with its gym, sauna, steam room, dedicated massage room and beauty parlor—everything you could want on vacation. The sun deck is totally dedicated to open-air enjoyment. A 13-foot central infinity pool with hydromassage water fountains is set to pamper you. Up a few steps and away from the fun area is a touch-and-go helicopter pad with built-in landing lights. It converts into an additional sun deck with sun loungers or a party deck with disco lights with all the electrics already in place. 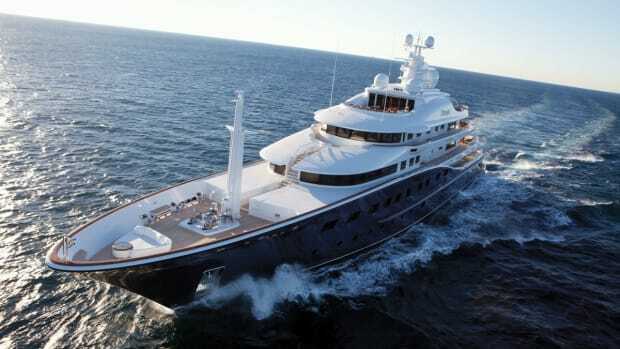 Sumptuous and original interior notwithstanding, the yacht also runs smoothly and is extremely comfortable in a seaway. Gabriele Zucconi, Rossinavi’s chief engineer, and Claudia Rossi, Claudio’s daughter and the company’s commercial director, extolled the virtues of the hull design. 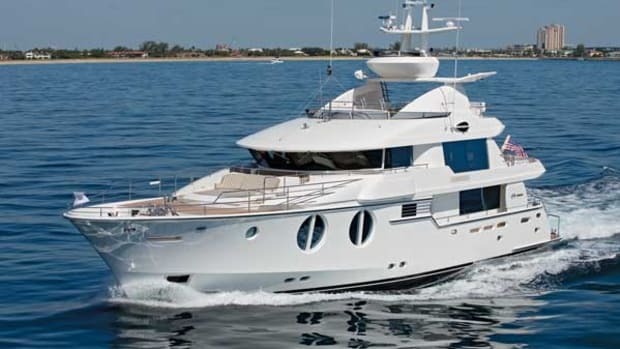 In addition to her great hull, the yacht has four stabilizers instead of two, thanks to a special arrangement with stern thruster, azimuth, Naiad stabilizer and bow thruster. A Schottel jet pump turns 360 degrees. Numptia can reach speeds of 18.6 knots—more than planned for—and at 16 knots, a speed achieved with 50 percent power, she burns about 132 gallons (500 liters) per hour.